All things Scottish will be found at the 33rd Arkansas Scottish Festival April 13-15 on the Lyon College campus in Batesville. Admission to the three-day festival is free. 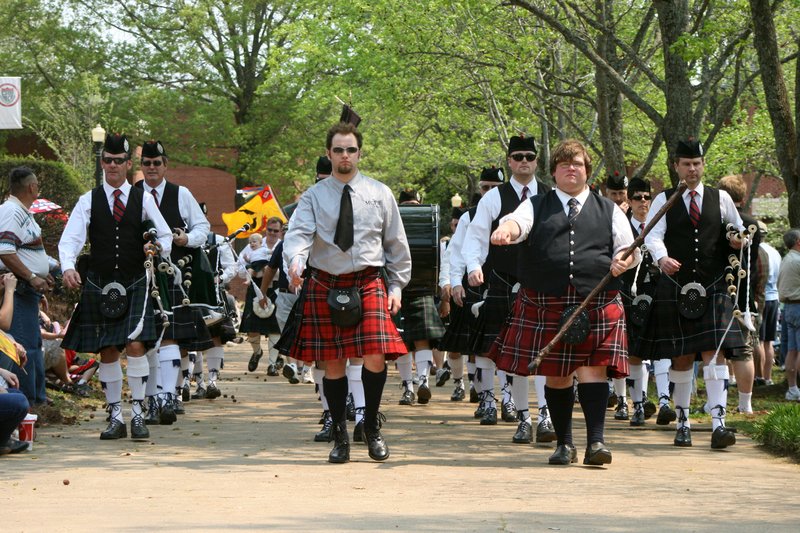 The Arkansas Scottish Festival began as a way to honor the college’s Scottish roots. Lyon College was founded in 1872 by the Presbyterian Church, which has its roots in Scotland. The college recognizes Scotland through its Scottish Heritage Program and through the annual festival, which brings in thousands of visitors during the weekend. This year’s festival will feature musical performances, bagpiping and drumming competitions, dancing, sheepdog demonstrations, heavy athletic games, a car show, parade of massed bands and clans, children’s activities, Iona worship service, bonniest knees contest and feast and Ceilidh. Lee Snowden and his wife Patti have been coming to the Arkansas Scottish Festival since 1996. Snowden is the state commissioner for Clan Donald USA. Ken Stewart, North Texas State Commissioner for Clan Stewart Society in America, said this will be his third year coming to the festival The first year he came to the event, strong storms destroyed his clan tent, but it didn’t stop Stewart from coming back. He said the Arkansas Scottish Festival is the favorite festival he attends. Things kick off a day earlier this year on April 12 with the first Celtic Concert by the Lyon College Pipe Band. The concert is at 7 p.m. at First Presbyterian Church in Batesville. Admission to the concert is free. Lyon bagpiper Elliot Smith, who is coordinating the concert, said the pipe band will perform traditional songs, including favorites like“Auld Lang Syne” and “Amazing Grace,” and solo pipers will play contemporary tunes. A Ceilidh (pronounced kay-lee) Band featuring small pipes, guitars and vocals will also perform. Highland dancers also will be on the program. Wally Hightower will be master of ceremonies. The Scottish Festival is also sponsoring a poetry contest and the winning poems will be read at the concert. A special tribute will commemorate the 150th anniversary of the Civil War. Refreshments will be served before the concert and during intermission. Pipe band merchandise will be available for sale. Festival organizers hope the Celtic Concert will become an annual event. The actual festival begins on Friday, April 13, with select vendors opening at noon. Friday’s events conclude with a student talent show at 8 p.m.
Gates open at 8 a.m. Saturday, April 14. Saturday’s events begin with a Scottish breakfast at the College’s dining hall followed by piping competitions, a book sale at the Mabee-Simpson Library, sheepdog demonstrations, Highland dancing demonstrations, children’s games and a British car show. The opening ceremonies begin at 1 p.m. with a parade of massed bands and clans. Afternoon activities include a pipe band competition, dancing demonstrations and awards. The feast and Ceilidh begin at 7 p.m. Tickets will be available by calling (870) 307-7534 or emailing Michele Howard at michele.howard@lyon.edu. Sunday’s line up includes the Iona Worship Service at 9 a.m. followed by sheepdog demonstrations, children’s games, Highland dancing, Lyon College Pipe Band demonstration and the bonniest knees contest. 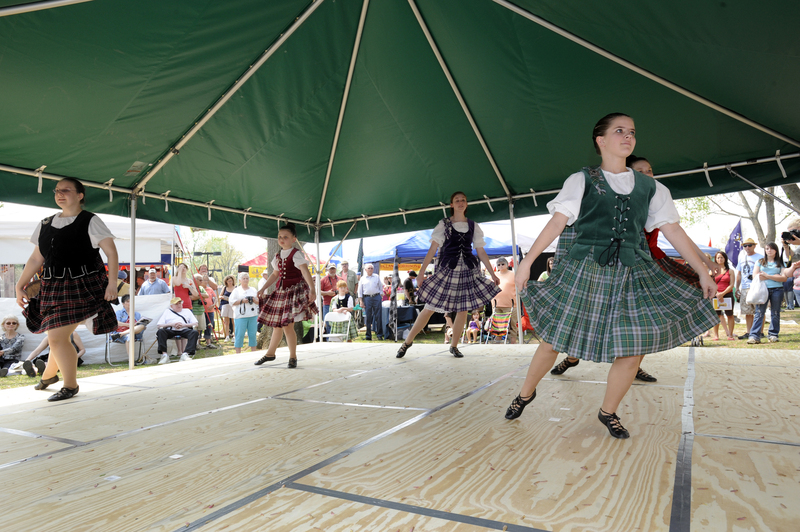 The festival closes at 2 p.m.
For a full schedule of events, visit http://www.lyon.edu/scotfest.